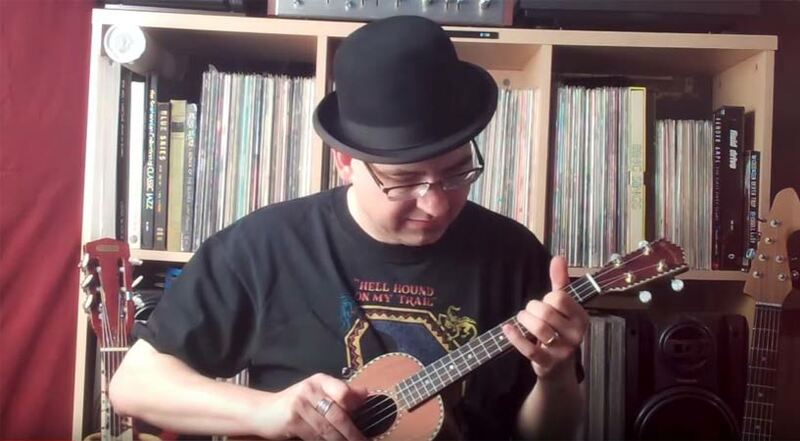 Several years ago, my love of strange old music landed me on the website of a German record collector. I could not understand most of what was being discussed, but this chap had apparently ripped some of his rare “Schellackplatten” and posted the files on his site. I downloaded everything and fell in love. The recordings were apparently German Tango records from the 1930s, with titles like “Kleine Frau van 18 Jahren,” and “Frau Meier Tanzt Tango.” I don’t read German, but I knew enough to get the drift. I later used some of these recordings in “Atrocities,” my WWII-themed mashup mini-CD, mixing them up with recordings of speeches, news reports, and the sounds of battle. “Hallo, kleines Fräulein” soon became my favorite of the bunch. I considered it a perfect song (still do), and the recording fascinated me so much that I became convinced that I had been a Weimar jazz musician in a previous life. I started plugging an MP3 player into my guitar amplifier and playing the song before and after gigs. It became my theme song. But where did it come from? All I had was an .mp3 file, with no tags to indicate the origin of the recording. I needed to know more, and I couldn’t find the site where I had originally downloaded it. After a bit of research, the internets revealed that the song had been recorded in 1933 by Barnabas von Geczy “& Orchester mit Quartettgesang.” More clicking uncovered the fact that von Geczy was a Hungarian violinist, composer, and bandleader who had moved to Germany after World War I. It was several years later that I found my theme song on YouTube. It was a day of rejoicing. For the past several years, I’ve played with the world’s most unambitious band. Though Ingenious Whittler has produced a dozen CDs and played many shows, their marketing strategy has consisted of little more than sending a copy of each CD to the Library of Congress. Thanks to our friend Dave at Tiny Records, a few of the Whittler albums are actually available for sale on CDBaby, iTunes, and Amazon, where we’ve enjoyed sales well into the double digits. Actually, people do tend to love Ingenious Whittler when exposed to their music. But there’s no website, no Facebook – not even a humble MySpace page for potential Whittlerites to congregate. Clearly, this band is a bunch of lazy bums! Besides playing guitar, I have supplied Ingenious Whittler with CD artwork, fliers, songs, vocals, and all manner of noisemaking. But being only a lieutenant in this irregular outfit, I’ve never had much influence over promotion, set lists, choice of songs on the records, or the mixing and editing. Though I still lend my axe to the Whittler cause whenever the opportunity arises, I admit that I have grown a bit weary of the sideman role. I feel that it is time for Brad Graham to return to the spotlight, so that music lovers the world over may hear his songs and bask in the glow reflected from his enormous bald head. But where was I? Oh, yes. The video. 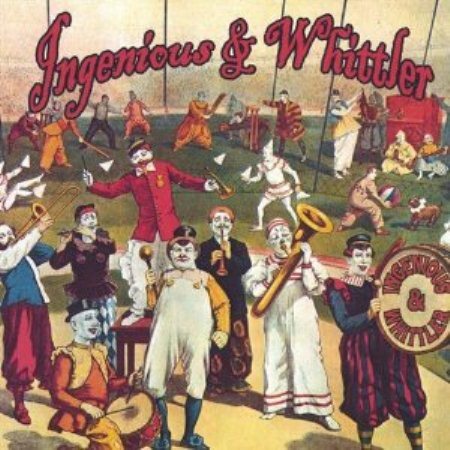 Footage of Ingenious Whittler does exist, but, not surprisingly, the band has never made a proper music video. One day recently, when Googling ye olde band name, I discovered a video that was created and posted by someone I’ve never heard of. The video is composed of still images related to a certain famous Great Lakes freighter. 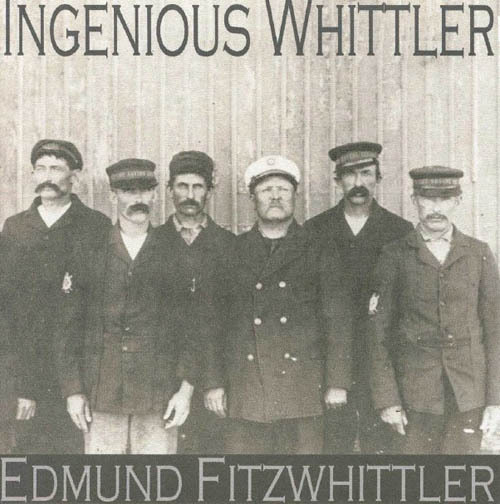 The accompanying soundtrack, a song about the same doomed ship, is provided by none other than Ingenious Whittler. How the poster of the video (“xpertexpert,” who may or may not be one Shai Isenberg from NY, according to Google) discovered this particular version of the tune is, frankly, baffling. Gordon Lightfoot’s song “The Wreck of the Edmund Fitzgerald” has become an obsession with Ingenious Whittler founder Peter Dally. Dally has recorded the song innumerable times, and it has become the standard encore for Whittler shows. In keeping with the band’s performance ethic (or lack thereof), the song has never been played the same twice. Differences in band personnel, ability to recall the lyrics, and levels of sobriety in the live setting have allowed for endless permutations of this 70s classic. Despite having played the song dozens of times, I could not recall ever putting it on a record. But lo, after a trip to the CD cabinet, I discovered that we did indeed release a version of the song. It appears on the Ingenious & Whittler album, from 2004. Though it lacks the titanic scope and giddy energy of our live renditions – it’s a low-key, sitting-room version – it does have its own charm. At the time of this writing, the video has garnered a modest 64 views. However, I anticipate that the readership of this blog will be more than sufficient to cause the clip to go viral, as they say. Meanwhile, Mr. Lightfoot and I shall be awaiting our royalty checks.